Los Angeles Kings on January 17, 2015. ROB BLAKE JERSEY RETIREMENT: In the final installment of a multi-part series on the Los Angeles Kings retiring superstar defenseman Rob Blake’s jersey number 4 on January 17, Frozen Royalty wraps up coverage with several audio interviews, most of which you will find only on Frozen Royalty. EL SEGUNDO AND LOS ANGELES, CA — On January 17, the Los Angeles Kings retired former defenseman and captain Rob Blake’s jersey number 4 during a pre-game ceremony at Staples Center in Los Angeles. 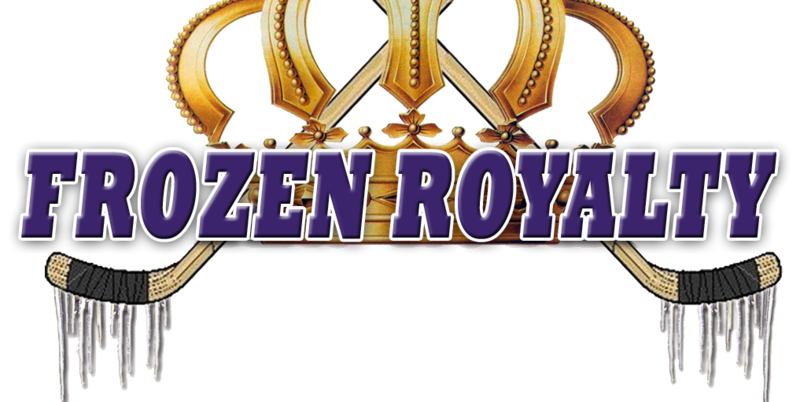 Over the past few days, Frozen Royalty has brought you a series of stories leading up to the ceremony on January 17, based on exclusive interviews. Below, you can listen to all of those interviews, as well as an interview with Blake after the jersey retirement ceremony. Why did the Kings go with Black and silver? Robitaille was purple because that was the last jersey he wore with the Kings. Why wasn’t Blake also purple? His greatest years with the Kings were in the sweater he chose.